ENSENADA, Mexico— For many, this week in the northern part of Baja California, Mexico will be a sentimental journey down the proverbial ‘memory lane’. For many more, this week will decide coveted season point championships in Pro and Sportsman classes for cars, trucks, UTVs, motorcycles and quads in the 2018 SCORE World Desert Championship. For all, this week will be a heart-warming, memory-building, risk-taking, nostalgic celebration of the world’s most iconic desert race—the 51st annual SCORE Baja 1000, the legendary Granddaddy of all Desert Races. Pre-race festivities and the start/finish line area will be held in Ensenada, 80 miles south of the U.S. Border at San Diego. The world’s most iconic, oldest, prestigious and longest continuously held desert race, this year’s epic 51st SCORE Baja 1000 is being held over a rugged 806.76-mile race course over the Northern part of Mexico’s majestic Baja California peninsula, starting and finishing in Ensenada, Baja California Norte. With over 300 expected entries, motorcycle and quad classes will start at 4 a.m. PT on Friday, and the car, truck and UTV classes will begin their journey in the elapsed-time race at 10:30 a.m. (PT) on Friday. While the fastest vehicles are expected to complete the course in approximately 16 hours, all vehicles will have 36 hours from the time each starts to complete the course and become an official finisher of the 51st anniversary race. 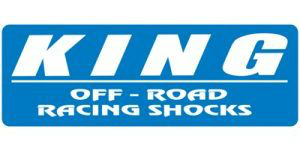 This year’s race will start for the 44th time and finish for the 25th time in Ensenada, Baja California. The start/finish line compound will once again be adjacent to the picturesque Bahia de Todos Santos one side and to the iconic Riviera del Pacifico Cultural Center on Blvd. Costero in the heart of Ensenada with the first several spectator-friendly miles running up and back through the Ensenada Arroyo. 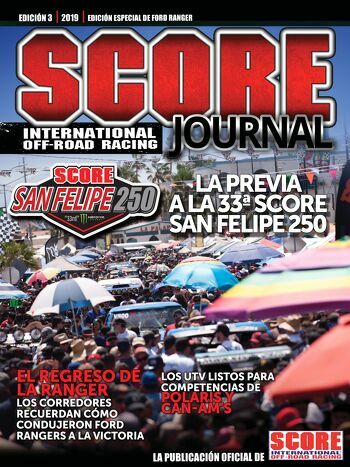 Both days of contingency and the entire epic 51st SCORE Baja 1000 race will be live streamed from the SCORE start/finish line ramp on the SCORE website (www.score-international.com). The streaming will be hosted by SCORE regular announcer Rat Sult along with veteran motorsports announcer Dave Arnold. During the race there will also be live tracking of all vehicles displayed from the home page of the SCORE website. Entering late, on-site racer registration that runs Tuesday through Thursday in Ensenada, there are a solid 284 total entries with racers from 41 U.S. States, one U.S. Territory and 18 countries officially signed up to compete. In addition to the United States, the U.S. 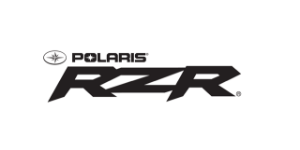 Territory of Guam and host country Mexico, the other countries with racers entered are Argentina, Australia, Austria, Belgium, Canada, Chile, Costa Rica, England, Finland, France, Germany, Italy, New Zealand, Peru, Spain and Sweden. Entering this week’s late, on-site registration window, led by the marquee SCORE Trophy Truck division with 38 entries, nine total classes have double figures in terms of entries so far. While several other classes have nearly reached at least 10 entries, the other classes with double figure entries to date are: Trophy Truck Spec (30), Pro UTV FI (Forced Induction) (29), Class 10 (19), unlimited Class 1 (14), Pro UTV NA (Naturally Aspirated) (14), SCORE Lites (10), and leading the motorcycle classes is Pro Moto Ironman (10) and at the top of the Sportsman classes is SPT M/C with 20 entries. Pre-race festivities include two days of Contingency and the SCORE Manufacturer’s Midway (Wednesday, Nov. 14 & Thursday, Nov. 15) on Boulevard Costero in front of the Riviera del Pacifico Cultural Center. Contingency will run each day from 9 a.m. to 5 p.m. and pre-race tech will be held from 9 a.m. to 6 p.m. each day. On Wednesday (Nov. 14), Contingency will be held for all motorcycles, quads and UTV classes along with several car/truck classes. On Thursday (Nov. 15), Contingency will be held for the balance of the car and truck classes including the marquee SCORE Trophy Truck, SCORE TT Legend, unlimited Class 1, Trophy Truck Spec and Class 10. The pre-race mandatory driver/rider briefing will be held on Thursday (Nov. 15) at 7 p.m. PT at the Torre Lucerna Ensenada Hotel & Resort. Racer registration will be held in the Red Room at the Riviera del Pacifico Cultural Center in Ensenada. Racer registration will be held from 1 p.m. to 8 p.m. PT on Tuesday (Nov. 13), and from 8 a.m. to 5 p.m. PT on both Wednesday (Nov. 15) and Thursday (Nov. 15). Media registration will be held as well in the Red Room at the Riviera from 1 p.m. until 5 p.m. PT on Tuesday (Nov. 13), and from 9 a.m. to 5 p.m. PT on both Wednesday (Nov. 14) and Thursday (Nov. 15) and the BFGoodrich Tires/Baja California Secretary of Tourism SCORE Media Center will be open on Friday (Nov. 16) starting at 3:30 a.m. PT through the close of the race course. It will also be open on Sunday (Nov. 18) from 8 a.m. to Noon PT. 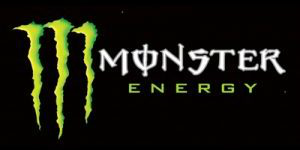 SCORE sponsor Monster Energy will host the Monster Energy Papas y Beer SCORE Street Party on Avenida Ruiz in downtown Ensenada from 6 p.m. to midnight PT on Thursday, Nov. 15. As the celebration continues Friday (Nov. 16) night to all day and evening on Friday and Saturday until the early hours of Sunday morning (Nov. 18) while official finishers cross the line and tales and epic accomplishments are added to the legacy of the event. The post-race awards fiesta will be held on the start/finish line ramp adjacent to the Riviera del Pacifico Cultural Center starting at 10 a.m. PT on Sunday (Nov. 18). BFGoodrich Tires is celebrating over four decades as a major player in SCORE Baja racing. In addition to being the official tire of SCORE International for over four decades, BFGoodrich Tires has produced the tire of choice for 30 of the overall 4-wheel vehicle winners in the SCORE Baja 1000, including 29 of the last 32 years along with a record-run of 20 straight from 1986 through 2005. In total, BFGoodrich Tires has now be the tire of choice for the overall 4-wheel vehicle winner in 90 SCORE Baja races including 32 in the SCORE Baja 500. BFGoodrich Tires also provides unmatched pit support for racers using their tires with five full service pit areas and more than 200 support crew personnel spread along the race course and complete radio relay the entire race course. BFGoodrich Tires will also award $25,000 contingency money to the overall winners of this year’s SCORE Baja 1000 running exclusively on BFGoodrich Tires. Among the car and truck classes, just 36 points separate the top seven who are from four different classes and there is a rare tie at the top spot. Tied for the SCORE Overall point lead heading into the season finale with 285 points each are SCORE Trophy Truck point leader Rob MacCachren and Pro UTV FI leader Wayne Matlock. Third overall and leading the Trophy Truck Spec class is William Hedrick Jr with 261 points. With a three-way tie at fourth overall with 255 points each are Class 10 point leader Broc Dickerson, second place SCORE Trophy Truck point leader Cameron Steele and second in Trophy Truck points Bryce Swaim. Seventh overall and second in Pro UTV FI with 251 points is Tony Riggs. In the motorcycle category, the top five point leaders represent five different classes. Leading the overall motorcycle points and Pro Moto Unlimited with 247 points is Justin Morgan while tied for second with 238 points each are Pro Moto 30 leader Ryan Liebelt and Pro Moto Ironman leader Francisco Septien. Tied for fourth overall with 235 points each are Pro Moto 40 leader Jano Montoya and Pro Moto 60 point leader Guy Laycraft. In the battle for the SCORE Pro UTV overall season point title chase the top three are all from the Pro UTV FI (Forced Induction) class. Leading in the hunt for the Pro UTV SCORE Pro UTV overall is Wayne Matlock with 285 points, second is Tony Riggs with 251 points and third heading into the season-finale is Brandon Schueler with 250 points. Celebrating its 25th anniversary, SCORE Trophy Truck, developed and launched by former SCORE owner Sal Fish in 1994, is the marquee racing division in the sport—for high-tech, 950 horsepower unlimited custom trucks and SCORE TT Legend, which debuted in 2017, is the SCORE Trophy Truck class-within-a-class with drivers at least 50 years old. A total of 13 of the last 14 SCORE Trophy Truck SCORE Baja 1000 race winners are entered in this year’s race, including the last 11 straight. And 18 racers are entered in this race who have combined to earn 80 career SCORE Trophy Truck race wins. Also entered are seven racers who have combined for 16 SCORE Trophy Truck season point championships in the first 24 years of the marquee SCORE racing division. Leading the way among the former SCORE Trophy Truck season point champs are bothers Ed and Tim Herbst with four titles (1999, 2000, 2002, 2003), four-time champ B.J. Baldwin (2006, 2008, 2012, 2013), three-time consecutive and reigning champ Carlos ‘Apdaly’ Lopez (2015, 2016, 2017), and two-time SCORE Trophy Truck season point champs Robby Gordon (1996, 2009) and Rob MacCachren (1994, 2007). Several classes enter the 51st SCORE Baja 1000 with very tight title point’s races for the SCORE season championship in each class. With the most points available at this race than any other, classes that seem to have the closest battles for the 2018 season point championships are Trophy Truck Spec, Class 1/2-1600, SCORE Lites Class 7, Pro Quad and Sportsman Motorcycle. Points are tied in the SCORE Lites classes with 229 each between veteran Luis Barragan, Mexicali, Mexico (No. 1210 Seagrove-VW) and rookie Jeremy Davis, Chino Hills, Calif. (No. 1258 Porter-VW). The two drivers are also tied for 22nd in the SCORE overall point standings. Bill Hendrick Jr, Vicente Guerrero, Mexico (261 points, No. 295 ID-Chevy) has a six-point lead over Bryce Swaim, El Cajon, Calif. (255 points, No. 242 TSCO-Chevy). Six points also separates the top two in Class 1/2-1600. Oscar Alvarez, McAllen, Texas, leads (236 points, No. 1603 Romo-VW) and Gustavo Avina, Ensenada, Mexico (230 points, No. 1678 Dethomas-VW). In Class 7, reigning champion Dan Chamlee, Montecito, Calif. (217 points No. 700 Ford Ranger) is in the top spot by three points over Carlos Diaz, Calexico, Calif. (214 points No. 711 Ford Ranger). In the Pro Quad class, Said Sanchez, Tijuana, Mexico (229 points, No. 1a Honda TRX450R) has a six-point lead over Juan Sanchez, Chula Vista, Calif. (223 points No. 15a Honda TRX450R). In the SPT M/C class that has seen 32 total racers this season so far, holding an eight-point lead is Shane Schorno, Discovery Bay, Calif. (250 points, No. 284x KTM 500EXCF) over Miguel Pena, Tijuana, Mexico (242 points, No. 200x KTM 450EXC). Circumstances sometimes bring teammate switches and that’s the case in the chase of the overall motorcycle victory in this year’s 51st SCORE Baja 1000. Chris Haines and his Haines Adventure Tours 1x team led by Shane Esposito has put together a team for this race of fierce former opponents to create a super team to go against this year’s undefeated 7x team lead by Justin Morgan. That’s the brief version. After Haines lead rider for several years Francisco Arredondo of Guatemala decided to take a sabbatical this year after earning the No. 1x plate last year, Haines, with the help of Pro Moto Ironman racer Lawrence Janesky of Connecticut, has put together a very strong team to defend the overall motorcycle title in this race. Haines, himself a former SCORE season point champion with 15 motorcycle class wins between 1987 and 2014 in the SCORE Baja 1000, has diligently put together a team for Esposito, Temecula, Calif. to challenge the undefeated 7x group led by Morgan, El Cajon, Calif.
Splitting the riding with Esposito in this race will be Esposito’s former rivals Colton Udall, Yucca Valley, Calif. and Udall’s brother Ian Young, San Clemente, Calif. Together, this trio of Chris Haines’ team has five overall wins in this race, one by Esposito and four by Udall. This will, however, by Udall’s first SCORE race since suffering a serious injury at the end of last year. Morgan has won all three SCORE races so far this year in the SCORE World Desert Championship, riding with Udall’s former teammates Mark Samuels, Yucca Valley, Calif. and Justin Jones, Murrieta, Calif.
Morgan was part of last year’s overall winners of the 50th SCORE Baja 1000 with Arredondo, Esposito, Max Eddy Jr and Ty Davis and Samuels has three overall wins in this race and Jones has two overalls. All of Samuels and Jones’ overall victories were with Udall as the lead rider. Making it even more challenging to predict a winner, both teams are racing on legendary Honda CRF450X motorcycles. Honda has won a dominating race-record 27 overall titles in the SCORE Baja 1000 with the nearest challengers being Husqvarna with 11 overall motorcycle wins in race history and Kawasaki with 10 overalls. This year’s race will once again commemorate the achievements of legendary desert racers like Rod Hall, Ron Bishop, Johnny Johnson, and Larry Roeseler. Hall, who will turn 81 on Nov. 22, has retired from racing with a record 25 class wins (including one overall win in 1972), and is the only racer who competed in all previous 50 SCORE Baja 1000 races. Bishop, who died in 2014, is the only racer who competed in the first 40 SCORE Baja 1000 races. Johnson, now retired, had 15 class wins, amazingly in eight different classes. Roeseler has 17 class wins in this race, including a record 13 overall wins (10 on a motorcycle, two in an unlimited Class 1 open-wheel desert race car and one in a SCORE Trophy Truck). Roeseler will share driving duties again this year in SCORE Trophy Truck with Luke McMillin in the No. 83 Mark Racing Ford F-150. Another testament to how much this race means to the sport of desert racing, winners of 22 of the 28 Pro classes that had finishers last year are back in the starting field for this year’s race. Entered in this year’s event are 21 racers who have combined for 28 overall motorcycle wins and 16 4-wheel overall champions. Included are winners of 14 straight 4-wheel overall winners. The leaders are: Larry Roeseler, 13, (10 on a motorcycles, two years in a car, one in a truck), Johnny Campbell 11 (Pro Moto Unlimited), Steve Hengeveld six (Pro Moto Unlimited), Andy McMillin, five (SCORE Trophy Truck), with four each are Rob MacCachren, (SCORE Trophy Truck) and Colton Udall (Pro Moto Unlimited), with three each are Robby Gordon (SCORE Trophy Truck) and Mark Samuels (Pro Moto Unlimited). With two each are Gus Vildosola Sr (SCORE Trophy Truck), Troy Herbst (Class 1), B.J. Baldwin (SCORE Trophy Truck), Jason Voss (SCORE Trophy Truck), Mike Childress (Pro Moto Unlimited), Max Eddy Jr (Pro Moto Unlimited) and Justin Jones (Pro Moto Unlimited). With one overall win each are Shane Esposito (Pro Moto Unlimited), Justin Morgan (Pro Moto Unlimited), Gustavo Vildosola (SCORE Trophy Truck), Gus Vildosola Jr (SCORE Trophy Truck), Carlos ‘Apdaly’ Lopez (SCORE Trophy Truck, Juan C. Lopez (SCORE Trophy Truck) and Roger Norman (SCORE Trophy Truck). Entered in this year’s event are 119 racers who have combined for an amazing 393 class wins in the SCORE Baja 1000. The leaders in multiple class wins entered this year are: Larry Roeseler with 17 (second overall), Craig Adams with 15 (tied for fourth), Jim O’Neal with 14 (tied for seventh), Steve Hengeveld with 12 (tied for ninth, Donald Moss with 12 (tied for ninth), Johnny Campbell with 11 (tied for 12th) and Chad Hall with 11 (tied for 12th). In the probably the most unique way to put your name in the SCORE record books, Mexico’s international motorcycle rally racer Santiago Creel has entered seven vehicles in this year’s race (six KTM motorcycles and one truck in Trophy Truck Spec. With plenty of help from plenty of teammates, including Monkey Business Racing team co-owner Mark Winkelman of Texas, Creel, 32 of Mexico City, is rider of record on four of the motorcycles—No. 4x and No. 66x in Pro Moto Unlimited class as well as No. 100x in Pro Moto Limited and No. 360x in Pro Moto 30. He is also listed as a co-rider on the No. 25x in Pro Moto Unlimited (Italy’s Massimo Mangini is ROR) and No. 310x in Pro Moto 30 (Mexico’s Enrique Fuhrken is ROR). Creel’s ‘craziness’ also calls for him to drive a section in the No. 252 Trophy Truck Spec of DOR Gonzalo Pirron. People really will need a SCORE-card to keep up with Creel. With an ambitious goal to ride solo in the Pro Moto Ironman class as a rookie in the SCORE Baja 1000 is SCORE rookie Liz Karcz, 34, a New Jersey transplant who is an ICU nurse at the University of New Mexico Medical Center. In this year’s SCORE World Desert Championship, Karcz, who won her class in this year’s AMA National Hare and Hound Championship series with a perfect record of seven class wins, has finished both the SCORE San Felipe 250 and the Lucerna Hotel & Resorts Tijuana SCORE Desert Challenge riding for Monkey Business Racing. Karcz is also riding as a charitable fund-raiser, raising charitable funds for the DA8 Strong Foundation. DA8 Strong, founded by former SCORE champion racer Destry Abbott, raises funds to help improve the quality of life for cancer patients and their families. In addition to season class point championships and SCORE World Desert Championship overall point titles, the racers are also competing for part of over $350,000 in cash purse and contingency postings. There are also the numerous annual SCORE Off-Roadsman of the Year Awards. Drivers are also attempting to earn prestigious SCORE Milestone Awards given to all racers who complete every required mile of the race season. With 57 racers still in the hunt, these awards are being presented by SCORE for the 33rd consecutive year. As it has for over four and a half decades, SCORE has put together another memorable race course for the 51st anniversary, this one a loop race, with all of the foreboding, unforgiving terrain that the northern state of the majestic Baja California peninsula has to offer. SCORE Race Director Jose A. Grijalva has designed and finalized this year’s race course of 806.76 miles. The course has five checkpoints along the way to the finish and approximately 194 virtual checkpoints. Starting and finishing in the heart of Ensenada in front of the historic Riviera del Pacifico Cultural Center, the course travels in a clockwise direction east to Ojos Negros before launching its weaving route around both the east and then the west side of the northern part of the peninsula. The five checkpoints are located at north of San Felipe (race mile 177.34), before Highway 1 on Chapala Road (rm 378.27), Highway 1 in San Quintin (rm 597.81), end of Vicente Guerrero Wash (rm 633.85) and in Santo Tomas before Highway 1 (rm 733.02). Because of the horrendous silt beds, several classes, including Class 11, Vintage classes and all Sportsman 4-wheel vehicles classes will be allowed to eliminate the Cataviña loop, from rm 379.22 to rm 478.38 and taking pavement for 47.8 miles to rejoin the race course. For this year’s 51st SCORE Baja 1000, SCORE International has selected Mexico’s beloved tourism official Nico Saad, the only person who has been behind the scenes at all 50 of the previous races, as the Grand Marshal for this year’s anniversary of the world’s most iconic desert race. Honorably humble, unusually unassuming, famously friendly by nature while constantly and consistently working diligently behind the scenes by choice on behalf of SCORE Baja racing for nearly 45 years, Saad is the revered owner of the San Nicolas Resort and extremely cherished and prolifically productive President of Proturismo de Ensenada. Saad is the only person who has been part of all 50 Baja 1000 events, obviously including the 44 produced and sanctioned by SCORE International. SCORE races are airing domestically on the El Rey Network and outside of the U.S. on ESPN International as well as syndication. The SCORE Baja 1000 race coverage show will be a two-hour special. El Rey Network is a 24-hour, English-language lifestyle network and is available in 45 million homes across the country through cable and OTT providers and via satellite on DirecTV Channel 341 and Dish Network Channel 253. For more information on how to watch El Rey visit http://elreynetwork.com. Official SCORE Sponsors: BFGoodrich Tires-Official Tire and official race title sponsor, Monster Energy-Official Energy Drink, King Shocks-Official Shock Absorber, Polaris RZR-Official UTV, RACELINE Wheels-Official Wheel, VP Racing Fuels-Official Fuel, Lucerna Hotels & Resorts-Official Hotel and official race title sponsor, Wide Open Excursions-Official Arrive and Drive Company, Crystal Bay Casino-Official Casino. SCORE Official Partners: PCI Race Radios, 4 Wheel Parts, The Satellite Phone Store, Satellite Del Norte. Additional SCORE Associate Partners: Proturismo Ensenada, Baja California Secretary of Tourism, Mexicali Ayuntamiento, COTUCO Mexicali/San Felipe, Cruz Roja Mexicana, Corporate Helicopters, McKenzie’s Performance Products, Advanced Color Graphics. Lucerna Hotels & Resorts 22nd Tijuana SCORE Desert Challenge Special Partners: XXII Ayuntamiento de Tijuana, Baja California State Secretary of Tourism, Comite de Turismo and Convenciones, Comite de Marcadotecnia Turistica, Lucerna Hotels and Resorts, Asociacion de Hoteles del Noroeste. TIME LIMIT: All vehicles will have a 36-hour time limit from the time each starts.